Ready to strut your stuff for the New Year? 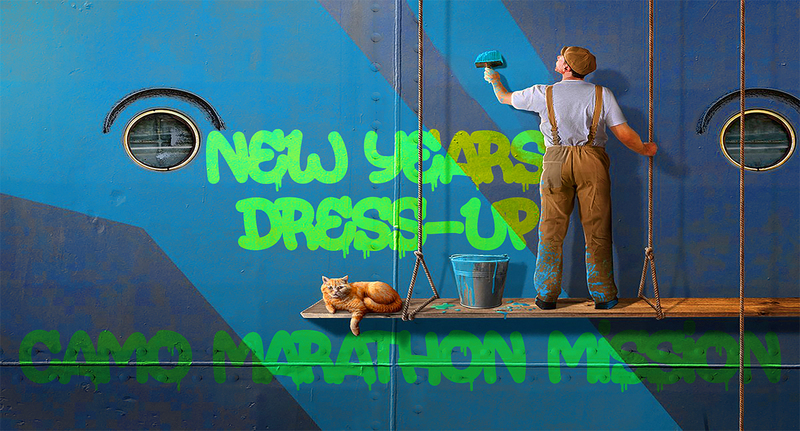 Set sail in any ship painted with the listed camo during the Dressing Up for the New Year event for 20 battles and score some coal and a camo pack! You'll have to opt-in to join! Clicking the Participate button below will enter you into the event and grant you a single New Year Streamer camo to confirm your entry. Battles do not need to be consecutive, or all in the same ship -- just make sure the camo is on!